Thomas Definnis (Wynnewood) - Book Appointment Online! Living in the Philadelphia area, you have options when it comes to choosing your family, cosmetic and sedation dentist. 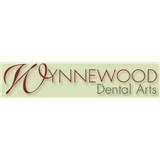 At Wynnewood Dental Arts, you’ll experience a welcoming and friendly team, eager to make you smile. Dr. Thomas DeFinnis, our hygienists, assistants, and front office staff work together to build an atmosphere conducive to patient comfort. We also prioritize knowledge, so we regularly expand our expertise by attending special training. At your dental visits, we’ll share information about oral and overall health, and we’ll answer all of your questions. Patients looking for the dentist that Philadelphia can rely on for quality and comprehensive care can trust Dr. Thomas DeFinnis and his staff to make every visit a pleasant one. Our practice specializes in sedation, cosmetic, restorative, and family dentistry and aims to provide the latest in treatments. Hygienist was great, polite, and thoughtful. Dentist was straightforward, helpful, and professional.